Illustrator artist Esther Hörchner has designed the Undressed bowl set which will surprise you. The set consists of four bowls, as well as four matching soup spoons, all made of white porcelain. 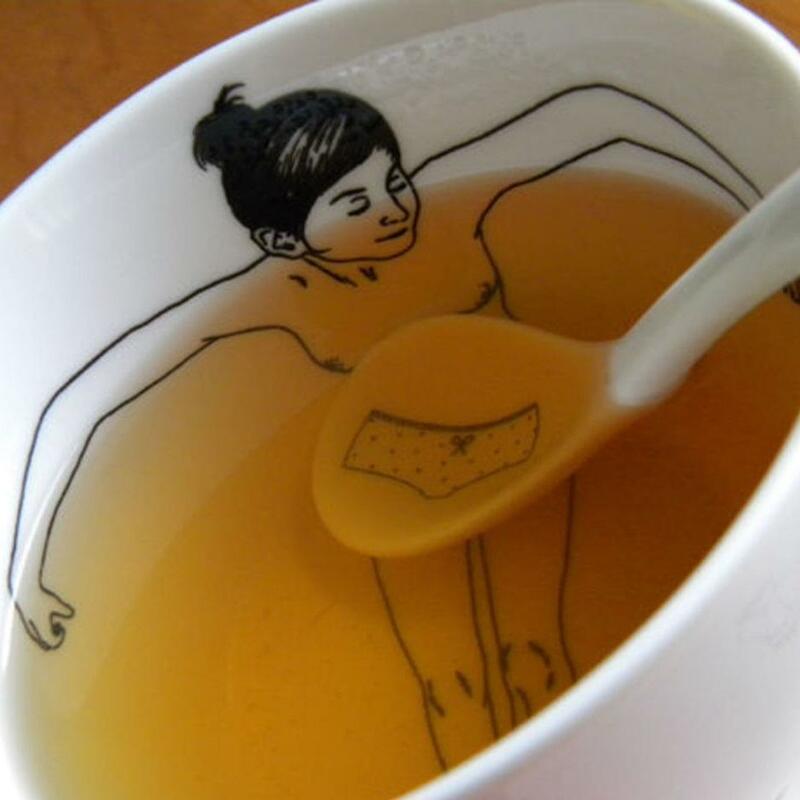 Inside each cup there is glazed with black transfer drawing a female naked figure seemingly enjoying a relaxing bath inside your soup! Her clothing units seem to be left outside the cup, on the surface of the spoons. Once you fill the blows with your soup, the “undressed” women seem like taking their bath, swimming or diving inside the liquid. Fill the bowls to reach the level of the women’s arms and they will look like relaxing in a bathtub. 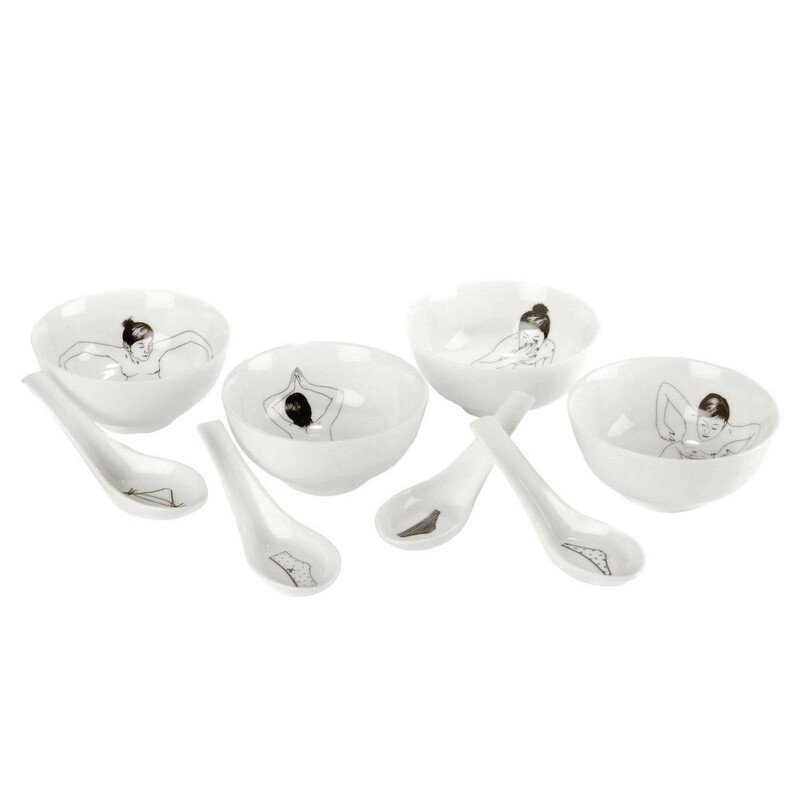 Undressed bowl set combines high aesthetics with practicality and bold design. It is the perfect set to serve your soup. 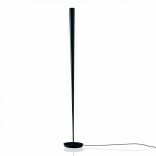 Designed with strong attention to details and with materials of high quality, this set will become your favorite one. It has a minimal and clear line which will surprise you and it is the perfect item to have since it can easily mingle with the rest of your kitchen accessories, regardless their style. Finish: Glazed with black transfer drawings. Dimensions: Bowl Ø 11,5 x H 5 cm | Spoon L 12 x W 4 x H 2 cm. The set contains four bowls and four soup spoons. It is suitable for the dishwasher.